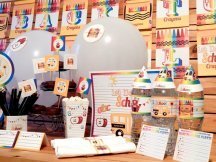 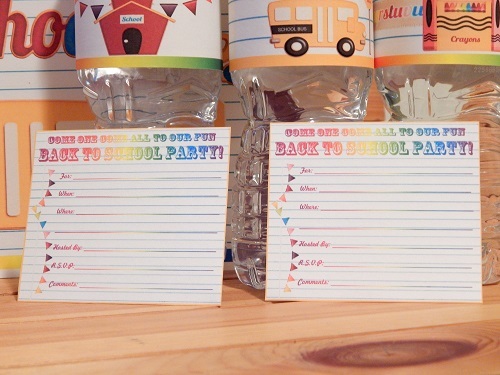 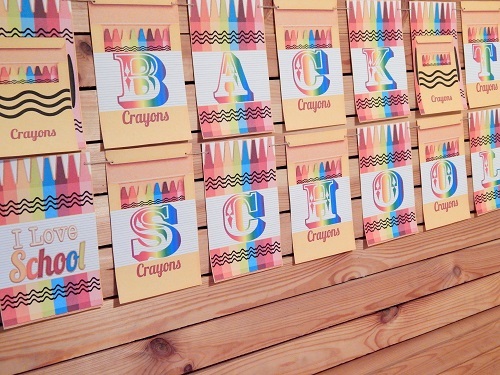 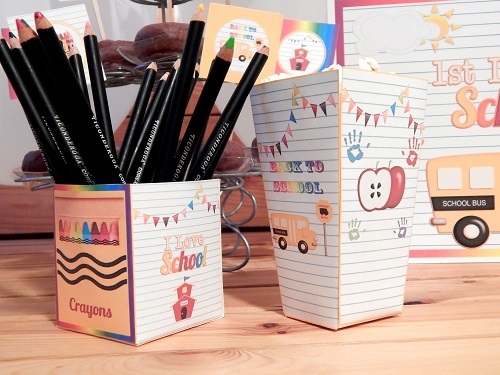 Printable back to school party supplies that are terrific for teachers, parents, & kids. 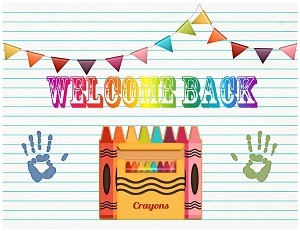 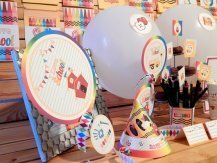 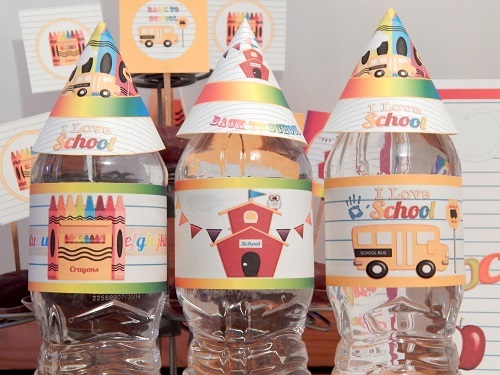 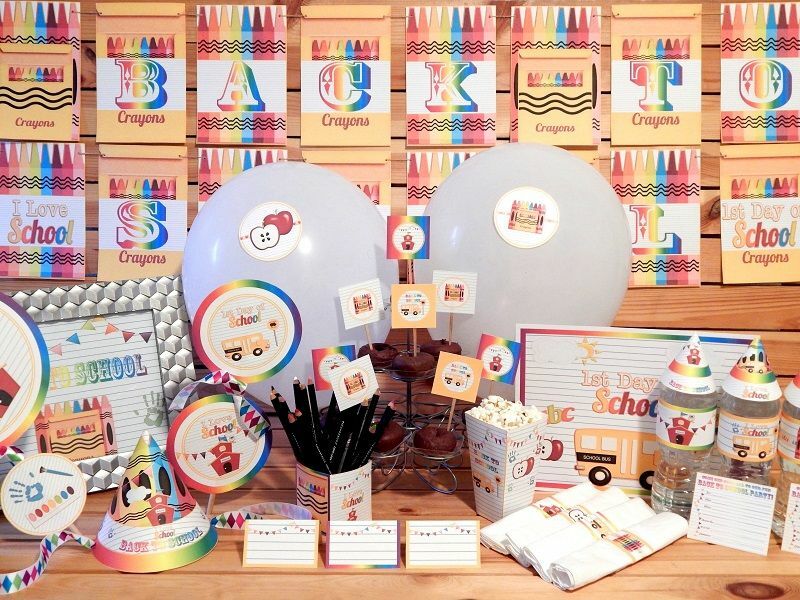 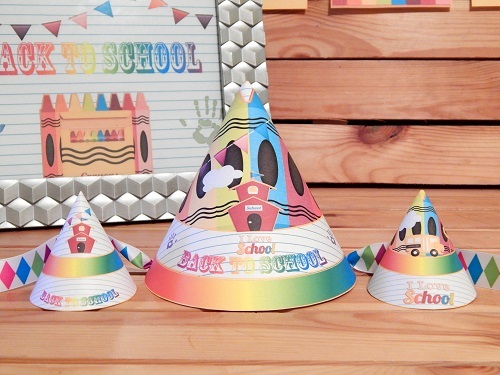 These school themed decorations are great for back to school night parties, welcoming children back to school, celebrating the 1st day of school at home, classroom parties, or just because you love school. 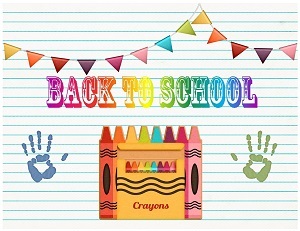 This printable set is designed with plenty of school time imagination like crayons, finger painting, school buses, & school houses with an old time feel. 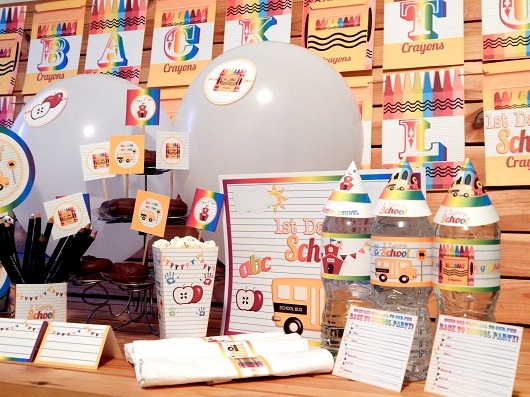 The notebook paper & apples really set this theme off with a classic touch. You can print party pages over & over again to decorate.